The pesticide glyphosate, also known by its trade name Round-Up®, has been in the news recently due to a lawsuit filed against agriculture giant Monsanto by a school district employee who developed non-Hodgkin’s lymphoma while using glyphosate weed killer as a part of his work. The plaintiff in the case, DeWayne Johnson, was recently awarded $289.2 million in damages from Monsanto, including a $250 million penalty against the company for punitive damages. 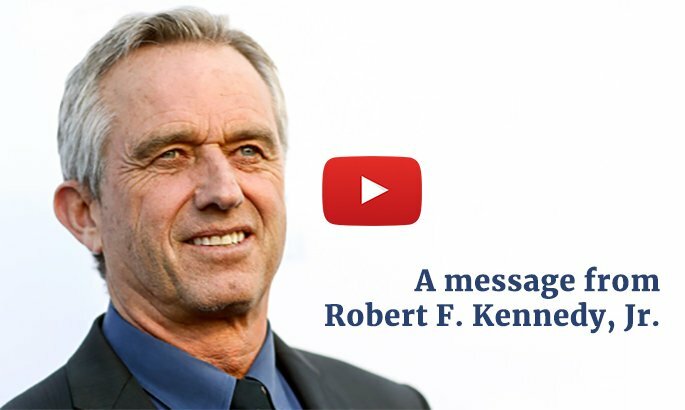 This is a huge victory for the plaintiff and his legal team, which included Robert F. Kennedy, Jr., who has contributed much to the debate surrounding environmental causes of chronic illness and neurodevelopmental disorders, including autism. An estimated additional 4000 cases have been filed in U.S. courts claiming that exposure to glyphosate has caused non-Hodgkin’s lymphoma. An independent, FDA-approved analytical laboratory (Anresco) tested 29 common food substances in the U.S. diet and found alarming levels of glyphosate in such brands as Cheerios, Ritz Crackers, Oreos and Doritos, among others. Levels found in Cheerios were greater than one part per million (i.e., 1 milligram per kilogram food substance). Glyphosate has also been detected in the urine of cattle at levels up to 146 parts per million and in organ meat of cattle up to 108 parts per million. In this same analysis, it was shown that both humans and animals fed organic (GMO-free) diets excrete substantially lower levels of glyphosate in their urine. Human vaccines have also been shown to contain glyphosate. Human vaccines have also been shown to contain glyphosate. Moms Across America has reported levels as high as 2.6 parts per billion (as determined by independent testing laboratory, Microbe Inotech Laboratories, Inc., St. Louis, MO) in the MMR-II vaccine, with all other vaccines tested showing at least detectable levels of glyphosate. This isn’t unexpected, given that vaccines are manufactured using bovine and pork-based cell culture products derived from livestock that may have consumed grain-based feed with the allowable level of glyphosate at 400 parts per million. Although glyphosate levels in vaccines are up to 1000 times lower than that in food substances, one must consider that vaccines are directly injected into the body, meaning that 100% of the herbicide is directly absorbed into the recipient’s tissues. Additionally, vaccines contain other substances like adjuvants and surfactants which can hasten the uptake of glyphosate into cells. Glyphosate at current environmental levels has exhibited an “estrogenic” effect on human breast cancer cells, meaning that it essentially enhanced the growth of certain types of tumor cells (Thongprakaisang et al. 2013). Another publication by Mesnage et al. 2015 revealed that glyphosate levels in the range of the acceptable daily intake causes chronic health effects including teratogenic, tumorigenic, and hepatorenal effects. 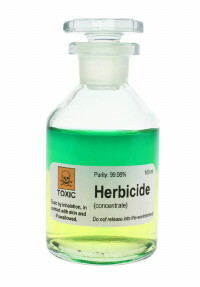 The authors hypothesize that adjuvants in the pesticide that enhance the toxicity and uptake of glyphosate by plants also augment the toxic effect of glyphosate in humans. This would serve to invalidate any previous safety study completed on glyphosate alone, which would be meaningless unless all the pesticide components were present. Clear evidence that specific formulations which include glyphosate are toxic to human cells at concentrations deemed safe for human consumption in the U.S. was available as early as 2009 (Gasnier et al. 2009). These formulations were shown to cause endocrine disruption, cellular toxicity, and DNA damage. Another study linked glyphosate exposure to occupational lung disease (Kumar et al. 2014). Perhaps the most impactful study completed to date, termed the “Global Glyphosate Study“, was completed by the Ramazzini Institute in Italy and was published in May 2018 in the journal Environmental Health. Within this study, laboratory rats were fed 1.75 mg of glyphosate per kg body weight each day (the U.S. EPA acceptable daily intake) over a 13-week time period. Changes were seen, as compared to the control group of animals, in biochemical parameters related to sexual development, genotoxicity, and the alteration of the intestinal microbiome. Monsanto brings in approximately $5 billion annual revenues related to glyphosate and has been shown to have undue influence over the federal government regarding its toxicity. Given myriad studies showing harm to human tissues by glyphosate and glyphosate-containing herbicide formulations, it seems reasonable to severely limit human exposure to this substance. In fact, in 2015, glyphosate was added to the list of probable human carcinogens by the World Health Organization after a review of its current toxicology literature. However, Monsanto, agriculture industry insiders, and even the U.S. Environmental Protection Agency (EPA) repeatedly claim that “glyphosate is safe.” In 2017, the U.S. EPA rejected the notion of glyphosate toxicity despite the warnings by the World Health Organization. 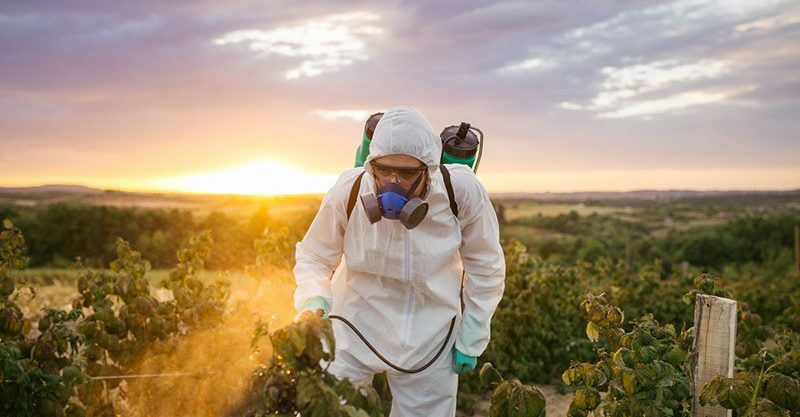 Following the history of the EPA’s position on glyphosate, it was first classified as a suspected human carcinogen in 1985, then delisted in 1991 due to the EPA’s new position that glyphosate was considered non-carcinogenic. In the state of California, glyphosate has also been a thorny issue, where for the latter part of 2017 the herbicide was listed as possibly carcinogenic, until a federal judge temporarily struck down the state’s warning in February 2018, just to later have that decision overturned. Monsanto brings in approximately $5 billion annual revenues related to glyphosate and has been shown to have undue influence over the federal government regarding its toxicity. One report suggests that the EPA delisted glyphosate as a suspected human carcinogen in 1991 to ready the agricultural market for the eventual introduction of Round-Up Ready® (glyphosate resistant) crops. 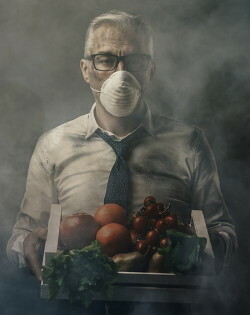 In 2013, Congress shockingly enacted what has been called the “Monsanto Protection Act” as a part of a federal spending bill, which barred federal courts from halting the sale of genetically modified crops (such as Round-Up Ready® crops) regardless of any existing or new science showing safety concerns. Many of the representatives voting on the spending bill did not even know of the provision, which was written by Monsanto lobbyists along with Congressional representatives including Roy Blunt (R-MO). Fortunately, the act was repealed about 6 months later. Court documents in the Dewayne Johnson case have shown that Monsanto exerted undue influence over EPA deputy director Jess Rowland, who chaired a committee that found insufficient evidence to conclude glyphosate is carcinogenic and left his job just days after his report was leaked to the press in May 2016. As a society, our food supply and even our vaccines are awash in glyphosate, which should be of grave concern. One study has shown that 93% of individuals tested in the U.S. show levels of glyphosate in their urine. Average levels of glyphosate in urine of children in this study eclipsed 3.5 parts per billion. This is highly disconcerting given that another study shows glyphosate-related damage to the liver and kidneys of rats at levels as low as 0.05 parts per billion. Despite all this evidence, the U.S. EPA sticks to their claim that glyphosate is safe for consumption. As is the case with vaccines and other medical products, with our food supply, we simply cannot trust our government to tell us what is safe to put in our bodies.